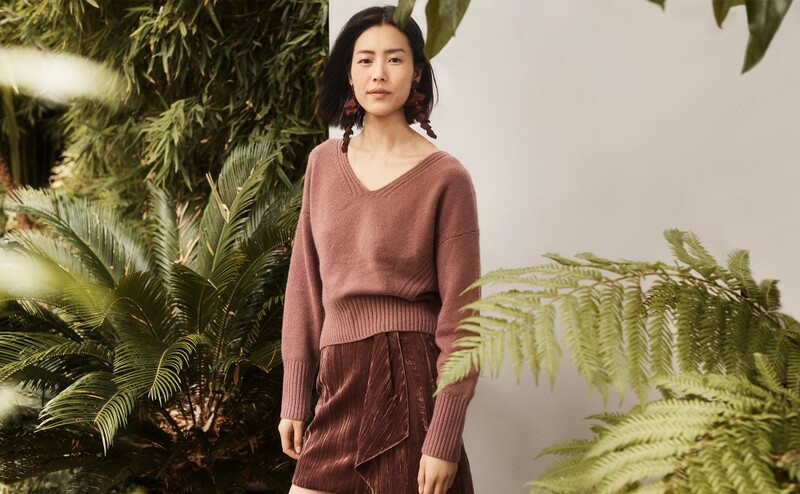 "There’s a wonderful range of sustainable fabrics in this collection, like recycled cashmere, the new velvet made from recycled polyester as well as the use of leftover ECONYL® from the previous collection." Inspired by a lost fragment of an ancient tapestry, H&M Conscious Exclusive A/W 2018 merges the life and journey of lost historical artefacts with the latest in sustainable fabric innovation. Recycled cashmere and velvet made from recycled polyester make their debut in a collection that has dramatic yet romantic silhouettes and a modern edge. Conscious Exclusive A/W 2018 is an online unique collection launching on hm.com. “There’s a wonderful range of sustainable fabrics in this collection, like recycled cashmere, the new velvet made from recycled polyester as well as the use of leftover ECONYL® from the previous collection. The quality and textures not only complement the designs but highlight the fabric innovation that H&M is closely involved with. The velvet, for instance, has taken years to develop in order to create a high enough calibre that we were happy with,” Cecilia Brännsten, Environmental Sustainability Manager at H&M group. With a range of beautifully crafted womenswear clothing, lingerie, shoes and accessories that balance drama with sophistication, the thoroughly modern pieces can be worn for party season, but also for more laidback yet luxurious-feeling days. Key items include a sweeping full-length black coat with an oversized collar and striking waist-high side slits made from a recycled wool blend, and an all-over sequinned flower jacket made from recycled PET bottles, while the long printed dress with voluminous sleeves and deep v back in 100% organic silk will also turn heads. Overall, the colour palette consists of black, off-white, dusty rose pink, mustard yellow, dusty blues and a touch of light grey. Accessories include sculptural earrings made from recycled plastic, black sock booties made from recycled polyester and slingback stilettos with ribbons made from recycled polyester and TENCEL™, a large printed scarf with long fringes in a TENCEL™ blend, a black shoulder piece with recycled velvet circles attached to long ribbons and a black sequinned hoodie. For more images, please visit H&M Image Gallery.